Most people have heard of the term check kiting, but few are aware that the same type of fraudulent scheme can be and is regularly used by car dealers across the country. Car kiting involves selling a vehicle that has been traded in before first paying off any outstanding liens. 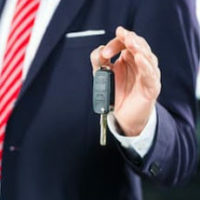 This type of activity is a form of fraud, so if you recently purchased a vehicle and believe that you have been the victim of car kiting, it is critical to speak with an experienced Philadelphia used car fraud attorney who can help you hold the responsible parties accountable for their actions. A car kiting scheme usually starts with a consumer who trades in a vehicle for which he or she owes more than it is actually worth. The dealer then promises to pay off the rest of the loan on the consumer’s behalf and the amount that is still owed is then rolled over, or added to the new loan. Rather than paying off the loan as they agreed, however, the used car dealer then kites the car, or sells it without paying off the lender or obtaining proper title to the vehicle. Because the former owner’s lender still retains title to the car, it can repossess the vehicle from the new owner, even though that individual had nothing to do with the original loan, while the person who traded in the vehicle can be required to continue paying off the original loan, in addition to the other loan that came with the new vehicle. Refraining from accepting a temporary registration from the dealer at the time of purchase. Verifying with the lender that the loan has been repaid before purchasing a new vehicle. Unfortunately, even consumers who use caution when purchasing used vehicles can be defrauded, so if you were recently sold a vehicle that was not paid off, it is important to speak with an attorney about seeking compensation for your losses. To schedule a free case evaluation with a dedicated used car fraud attorney, please contact Louis S. Schwartz at CONSUMERLAWPA.com in Philadelphia today. You can also reach a member of our legal team by calling 215-790-1800, or by completing one of our brief online contact forms.